Franchise website design and development can be difficult, there’s no doubt about it. Unlike the case with standard business models, you have to find the right balance between a unique and unified brand identity, and a localized experience that accurately reflects your individual franchisees and their efforts. Difficulties aside, when this balance is achieved, the results help you create a memorable experience for your consumers and your franchisees alike. So let’s talk about some best practices, and how you can optimize your franchise website. Regardless of where your headquarters are located, your site(s) should be optimized for local customers near the locations of your franchisees. This localization is especially necessary in terms of optimizing your website for local searches. Since Google announced its Pigeon algorithm update in summer 2014, local SEO has exploded in popularity. The update sought to “provide a more useful, relevant and accurate local search results that are tied more closely to traditional web search ranking signals. The changes will be visible within the Google Maps search results and Google Web search results”. Almost 18 months after its initial introduction, local SEO is a must for any physical businesses in the United States. Local searches lead no less than 50% of consumers to visit the store in question within one day, while 18% of local mobile searches actually lead to a sale within that same 1-day time frame. Making sure that your potential customers in your franchisee's neighborhoods find their site is absolutely crucial in developing your franchise website. Local SEO is different from its more generic, straightforward counterpart on the national scale. It has to begin with claiming your My Business page on Google, setting it up complete with a unique and keyword-optimized description, photos, a physical address, contact information, and more. You can find a thorough tutorial on this process on this page, which also describes the benefits of an optimized My Business page: appearing in the pack listing for local searches. For your franchise, you should set up each individual franchisee as its own business to list it for that specific neighborhood. Next, your website should include a unique set of pages for each franchisee, which allows you to optimize these pages for their individual locations using keywords that include the physical location and city of each branch. General SEO principles apply to this on-page SEO, though you should keep consistency in mind when adding your keywords. Finally, gathering customer reviews about your individual franchisees on Google means they will appear on Google searches, which can also help your local search optimization. 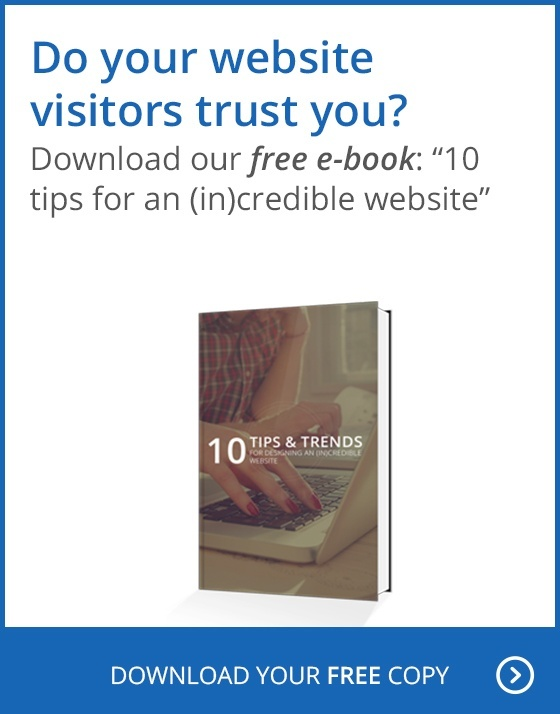 As 88% of consumers trust online reviews as much as personal recommendations, these reviews can also be a major factor in driving traffic into your franchise. Splitting your page does not only have benefits when optimizing your website for local SEO. In addition, it allows you to create a page that can communicate your overall brand value while at the same time adding local appeal. Consider an ice cream franchise operating throughout the entirety of one state. This franchise will need general brand pages that enable it to set itself apart from its competitors like, for example, Dairy Queen. These pages could consist of an explanation of how the ice cream is made, the regular menu, and more. But at the same time, it should also have individual pages for each of its franchisees on which the individual businesses can run localized promotions and offer coupons, introduce their staff to showcase their personality, and more. Including equal measures of general brand content and franchisee-specific pages helps build an identity without excluding local populations. Of course, such an arrangement of split content can seriously complicate your admin privileges. For franchises, some centralized control over the website is crucial to maintain a consistent identity (more on that below). But at the same time, especially if you arrange your website into separate sections to allow for localized on-page SEO and content, you should also allow individual franchisee managers to monitor and update their own page. Just how you set up these admin privileges is up to your individual management structure and preferences, but decentralizing control for local pages on your website is a crucial part to giving individual franchisees local appeal on your digital presence. TIP: If you’re working with a professional developer or agency, a discovery process early on in the project will help identify whether you need such a structure on the back-end of your site, and how the admin privileges should be assigned. Unfortunately, a decentralized system like the one we propose above can lead many franchise websites to a fatal flaw: the lack of a consistent message. Too often, you visit a franchise's homepage and are impressed with the quality of its design and content, only to navigate into the depths of the page and start feeling cognitive dissonance because the messages don't match up anymore. To bridge the gap between your brand franchisee pages, you should have a system in place that ensures consistency. Of course, that system begins with the initial web development, which should be centrally managed and during which you should ensure that the website has a consistent look and feel on all of its pages. But even beyond this initial set up, you should take measures to ensure that this consistency doesn't go away over time. Consider developing a branding guide for your franchise which specifies the specific colors to be used on your website. Especially if your franchise is not brand new, you should also note exactly what fonts should be used on each of its pages and how the logo should (and should not) be handled. Finally, you should establish guidelines on the 'voice' you want to carry throughout your website. This intangible part of your brand identity is crucial in avoiding the potentially fatal cognitive dissonance we outlined above. Most, if not all of the above best practices for franchise web development rely on their back-end structure. To effectively run a franchise website, you need to incorporate a content management system (CMS) from the beginning that is flexible enough to accommodate your needs for local SEO optimization, split content, and admin privileges. Consider a CMS that includes an approval chain in which individual managers can make changes to their pages that won't be published until someone at headquarters approves (and adjusts) the changes to fit within your general brand identity. Some CMS solutions also enable users to split up their websites into sections, which means that your franchisee managers can only access the pages that relate directly to them, avoiding confusion and potentially costly mistakes. But above all, you should choose a CMS that enables you to train your managers, ideally in a separate environment than the live page. Most local admins will not be web experts and will need this training to make the changes needed to optimize their pages for local consumers. Consider setting up regular training sessions in which your centralized web expert can walk them through the CMS and answer any questions they might have. Designing and developing your franchise website can be a difficult proposition. You need to localize the experience to appeal to neighborhoods in which your franchisees are located, without losing the consistent brand identity that sets your franchise apart in the long run. Following these five best practices, you can develop an online presence that accomplishes both of these goals.